As a nod to the Esprit S1 featured 40 years ago in the James Bond movie The Spy Who Loved Me—and engraved in every car lover’s memory—Lotus has built a unique-edition Evora Sport 410. 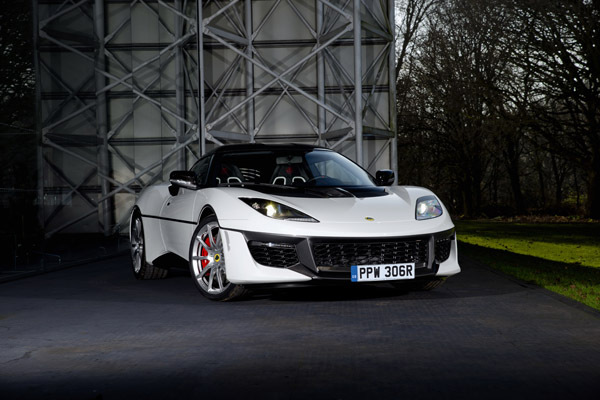 The carmaker’s personalization department, Lotus Exclusive, added special design details both outside and inside this one-off supercar, such as the Evora name in the original Esprit’s graphics, and heritage Tartan interior trims with red contrast stitching. Production of the standard Evora Sport 410, developing 410 hp and reaching 60 mph in just 3.9 seconds, is also limited to 150 units a year worldwide.